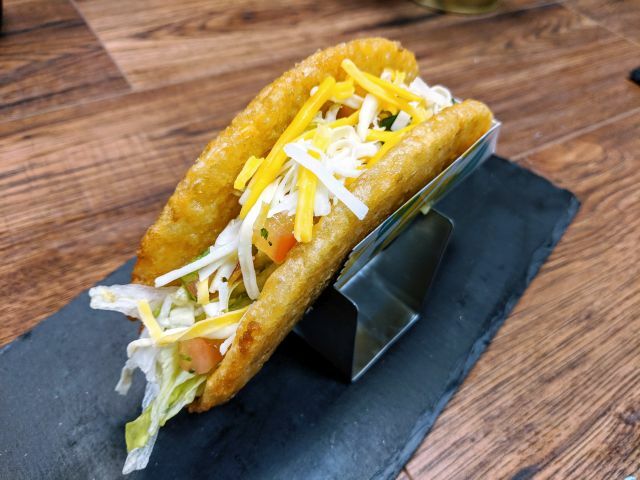 Bruegger's Bagels introduces two new sandwiches to headline this year's seasonal summer menu: the Greek Goddess and the Mediterranean Sunrise. 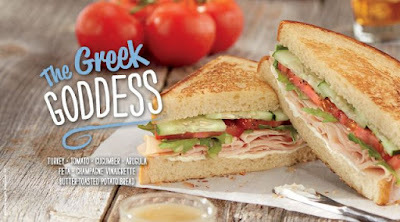 The Greek Goddess consists of roasted turkey, feta cheese, tomatoes, cucumbers, spicy arugula and champagne vinaigrette on butter-toasted potato bread. 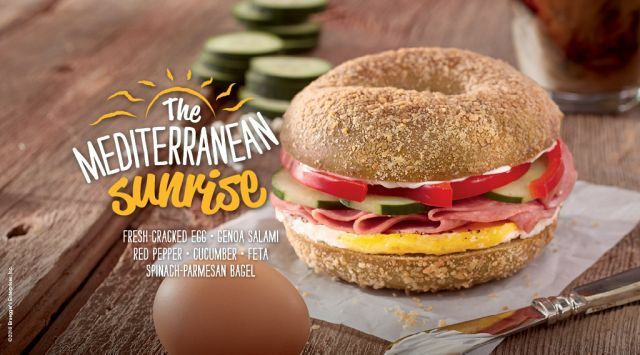 The new Mediterranean Sunrise is a breakfast sandwich featuring fresh-cracked egg, Genoa salami, red peppers, cucumbers, and feta cheese on the new Spinach-Parmesan bagel. Bruegger's summer menu is available through September 13, 2016 at participating locations.